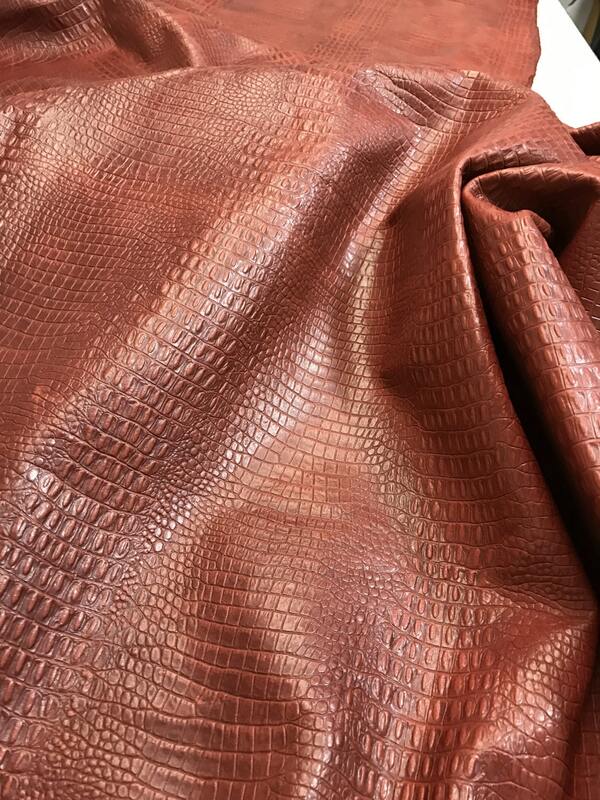 Our lizzard embossed cowhide leather is a perfect leather for handbag designers seeking to construct bags with exotic looks and prints. 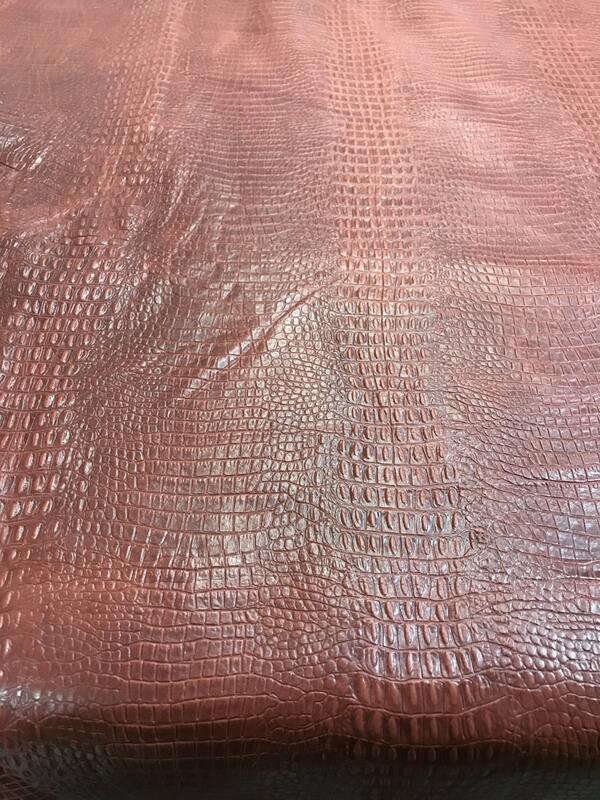 Our deep, lizzard emboss is done on our naked, full grain, cow skins. 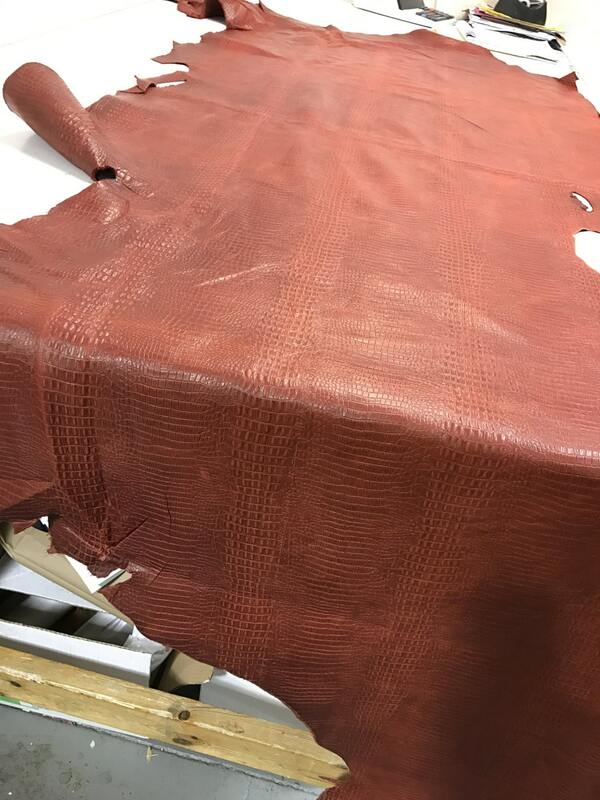 This enables us to maintain the soft and supple hand feel that'll leave your customers in love with your handbags! Skins are tanned in Argentina and finished in USA. 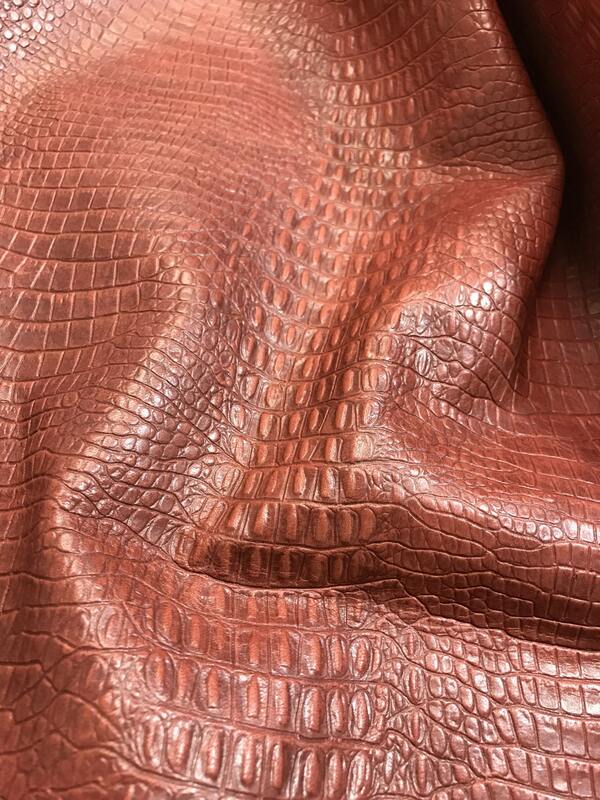 I love the embossed red leather that I purchased! It's exactly as advertised and wonderful for my handbags!